Adolf Melnars was born in Latvia on March 4, 1908. He attended the studio of K. Miesnieks in 1928 and studied at the Latvian Art Academy from 1930 to 1939, graduating from the studio of G. Eliass′s figurative painting studio. He worked as a drawing teacher at the secondary school in Riga from 1940 to 1945 and at the Riga School of Applied Arts from 1945 to 1957. 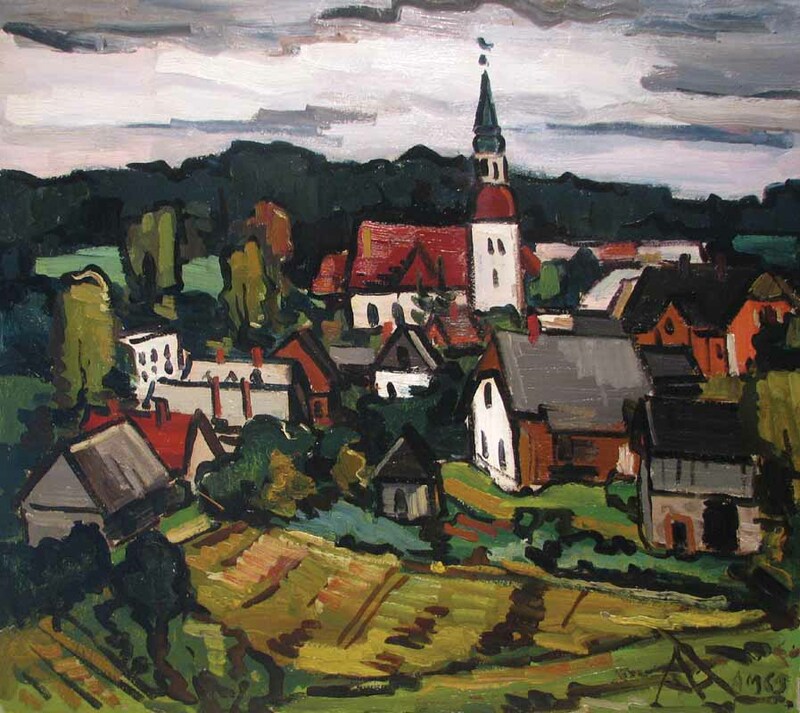 He began exhibiting his work in 1933 and had a solo show in Riga in 1957. Melnars was a member of the Latvian Artists′ Union since 1945. He was expelled in 1953 and re–admitted in 1956. He died on October 31, 1963. Melnars is listed on page 205 of Matthew Bown′s, A Dictionary of Twentieth Century Russian and Soviet Painters.